I’m a construction geek; I can’t help it. Here’s some beautiful concrete work. Most people won’t appreciate this, but I am posting it anyway. I visited a client at he and his wife’s home the other day to check on the progress of their huge remodel. I’ll post some progress pictures as they go. 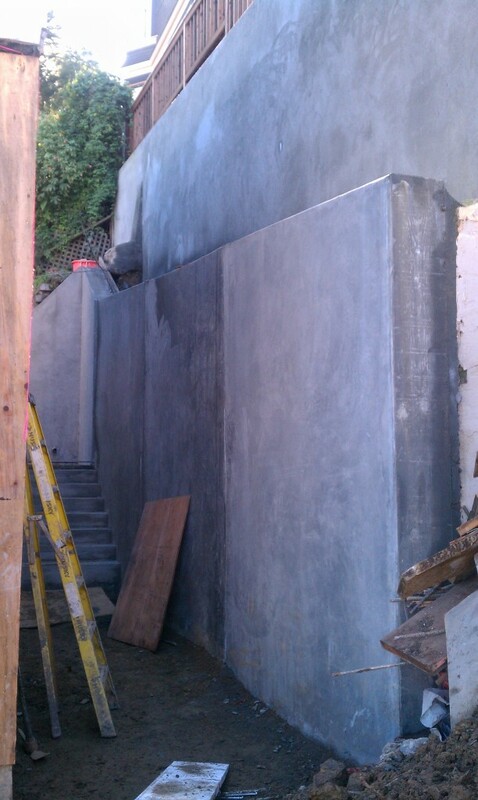 What struck me today was the beautiful concrete work on this retaining wall. To fully appreciate it, you really need to see it. If you look closely at the picture, you’ll see that not only is the new retaining wall tall (probably 12 or so feet), so is the one right above it! These walls support a very steep hill and a large two unit building right above! Congratulations Bea and Will on a great project!